It’s time to look outside of the box and really begin to examine and applying new farming strategies that are more symbiotic and efficient for us in the long run. What if we’re doing it wrong? What if the monocrop method we have familiarized ourselves with isn’t cutting it? It’s time to look outside of the garden box and really begin to examine and apply new farming strategies that are more symbiotic and efficient for us in the long run. With available land for gardening and farming shrinking, biointensive gardening could be the answer we are looking for. This method has been around and used internationally for 40 years. It utilizes precise math and science to ensure a high success rate. The practice teaches you how to grow food in a compact space for a balanced diet with all the calories one would need to thrive. One of the best aspects of this method is the practice itself addresses issues before they arise. For example, biointensive gardeners start seeds in flats with a mix of garden soil and homemade compost. This acclimates the plant to its soon-to-be environment. It also ensures that only healthy, thriving plants will be planted in the garden. With directly sowing seeds, you gamble on the fact that the plant will thrive or if it will germinate at all, thus wasting precious planting space. This method also cuts down on in-between crop times. 60% carbon crops – Corn, grains or Jerusalem arthichokes. These types of crops produce food and biomass for compost. 30% calorie crops – Root crops such as potatoes, sweet potatoes or parsnips. 10% vegetable crops – Vegetables such as tomatoes and kale. intensive and precise planting – Once the seedlings have matured, they are planted closely together. Following precise measurements and shapes prescribed by the method and specific to the crop, this helps with weed control, creates a living mulch and reduces watering times because the close grouping of plants prevents the sun from drying the soil out. whole system approach composing – biointensive gardeners use all of their own compost and use only plant compost – no manure. Close planting – planting vegetation closely protects the microbes in the soil from sun damage and also assists in creating a living, porous “sponge” for more efficient utilization of water. This eliminates frequent watering times and the end product is a less-stressed plant with a thriving deep root system. Rather than directly sowing the seed, like many of us do, biointensive gardeners transplant healthy seedlings with good root structures into the garden to properly utilize the garden space. As mentioned above, this gardening method addresses issues before they arise. 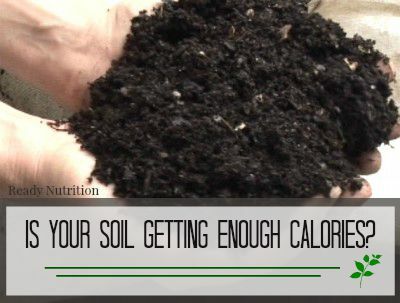 Taking a little extra time to condition your soil, nurture your plants into growing thriving root systems and strategically planning where the plantlings will be planted will ensure a bountiful crop this year.